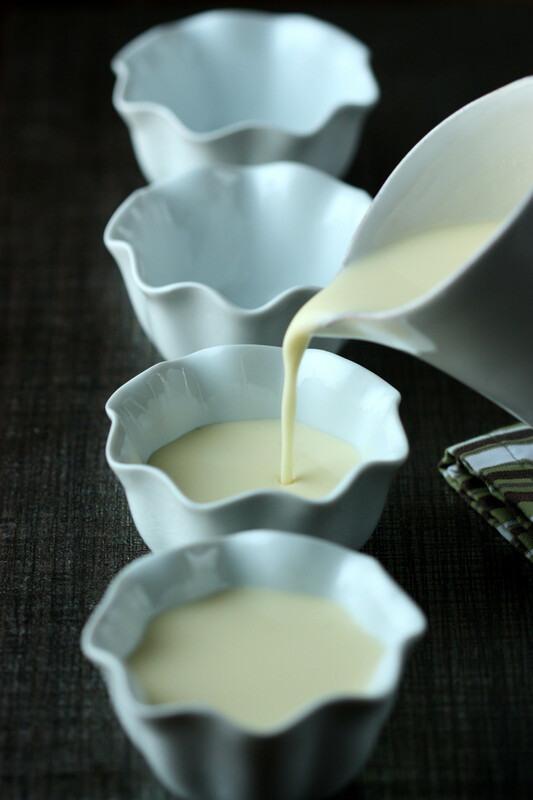 Creamy, indulgent panna cotta will beat out pudding in my book any day. Panna cotta strikes the perfect balance of sweet-but- not-too- sweet, it’s luxuriously soft texture, and it’s creaminess is the definition of indulgent. The greatest appeal to me of this Italian dessert is its soft, smooth consistency. True panna cotta should only be served in a cup or small bowl, as it will not be able to support its own weight on its own. While panna cotta is a type of Italian pudding that has Piedmontese origins, I believe that the roots of this incredible dessert go back to the Middle Ages. During the Middle Ages, there was an obsession with the Bianco Mangia, which was a category of cuisines dedicated to the product of white foods as they were considered to be more elegant and refined. My recipe for panna cotta serves six, and it will be gone before you know it. Directions Put the sugar, cream, and vanilla bean into a saucepan on medium heat. Once the mixtures reaches 150˚ F, turn the heat to low. Do not allow the cream to boil. At this point, put the gelatin sheets in cold water. Once the sheets are mushy (but before they are totally falling apart) squeeze as much water as possible out of them with your hand and place them in the cream. Take the saucepan off the heat and stir them in. Put the mixture into a bowl in an ice bath. Remove the vanilla bean. On the ice bath, bring the mixture to about 50˚ F. Then, pour it into serving cups and cover them with plastic wrap. This helps the dessert to set much faster, condensation will not form on the plastic wrap and make craters on the surface of the Panna Cotta, and it will not have as thick of a surface layer. Place the cups in the refrigerator and wait about 6-8 hours before serving, depending on whether you cooled it before or not. 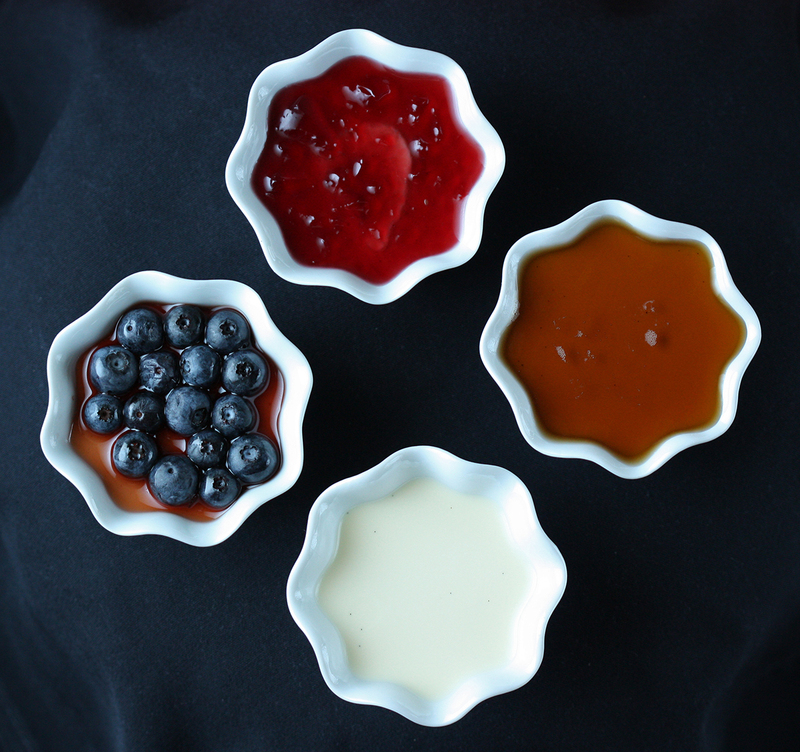 Serving Panna Cotta can be served on its own or topped with caramel sauce, chocolate sauce, or with berries— the choice is yours. How did your panna cotta come out? What topping did you choose? Leave us a comment and let us know what you think!